Hello there. Let’s pick up where I left off last week. We have put 6 stitches on hold and now we need to cast on another 6 to make up for them. 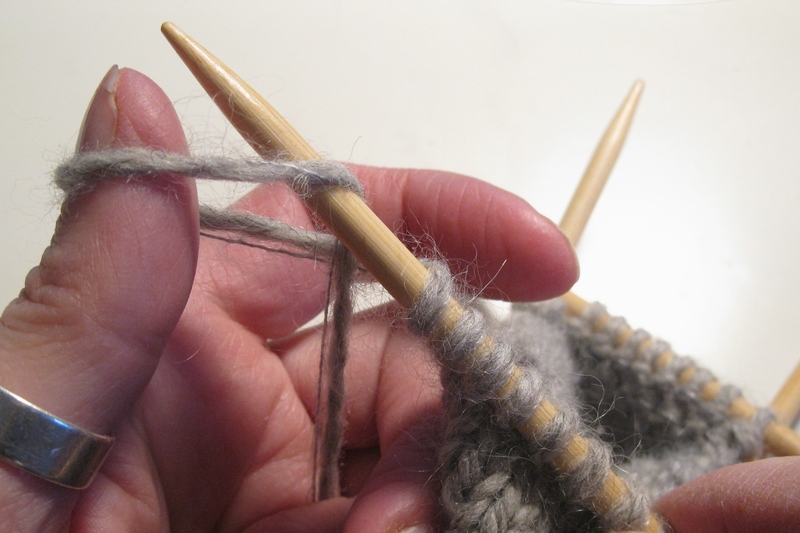 Using the backward-loop cast-on, cast on 6 stitches onto the last needle. You are going to redistribute them at the end of the next round. 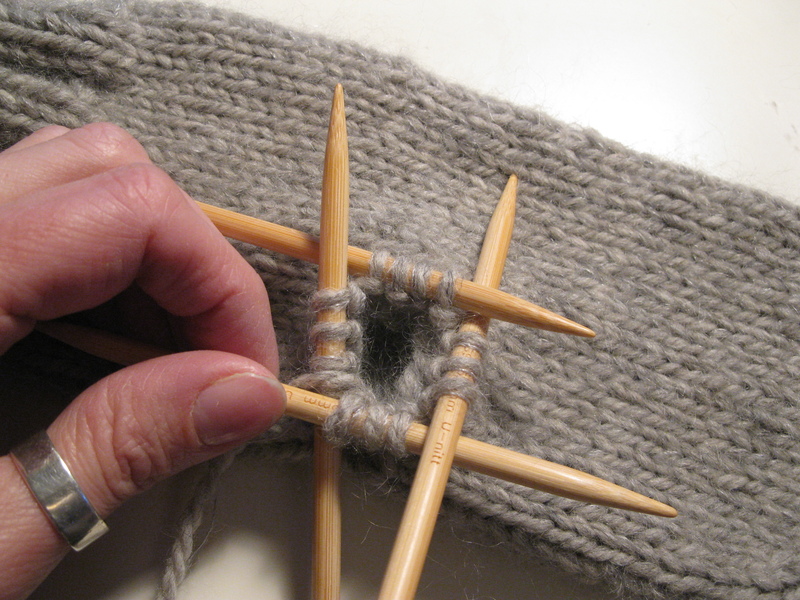 Now continue knitting in the round until you have about 1 3/4″ less than required length – I knit 18 rounds. That was the required length for my mittens, here is where you would adapt the length to your recipient. Now come the decreases for the top. For the next round, *k1, ssk, knit 10, k2tog; repeat from * once more. 4 stitches decreased – 28 sts. Knit 2 rounds. The next round is another decrease round: *k1, ssk, knit 8, k2tog; rep from * once more – 24 sts. 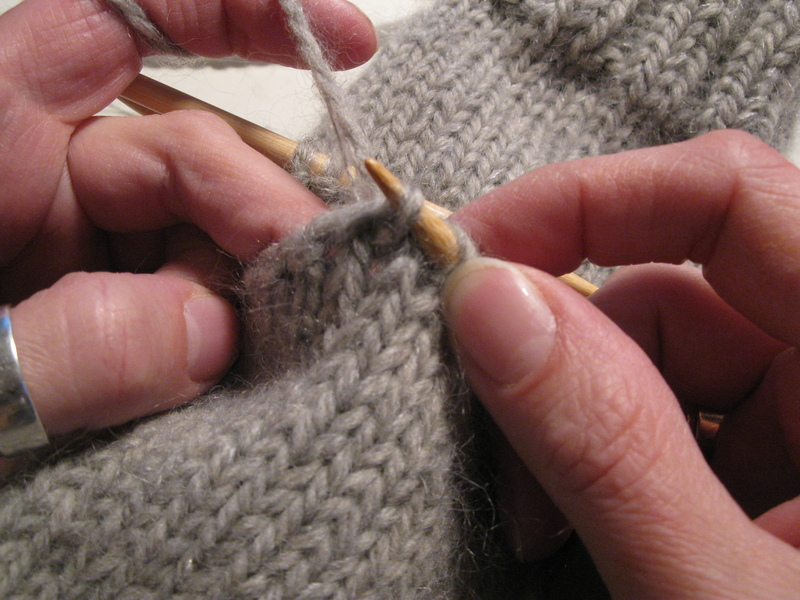 Knit 1 round, then work another decrease round: *k1, ssk, k6, k2tog, k1; rep from * once more. Repeat decrease round two more times, working two stitches less between decreases – 12 stitches left, 3 on each needle (if knitting with dpns). Place 6 sts each on one needle and graft top. 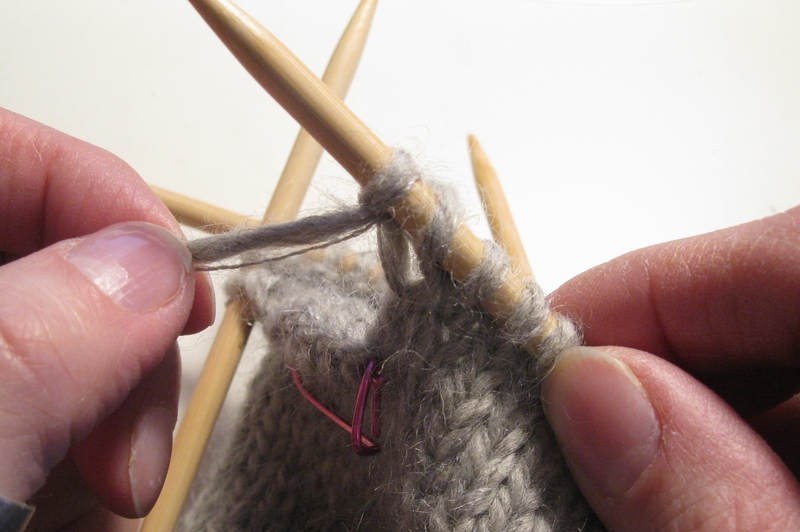 Now we are going to knit the thumb. 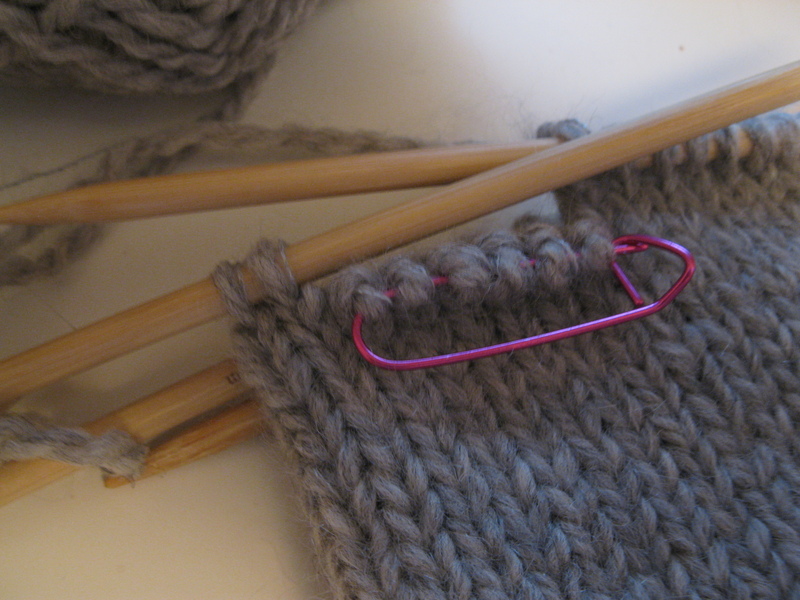 Place the 6 stitches from holder back onto needle. 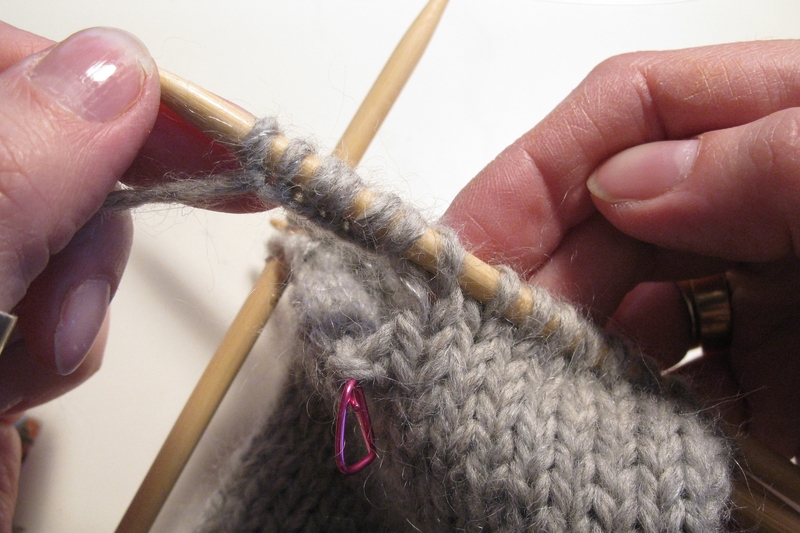 Next, join yarn and pick up and knit one stitch into the gap between stitches and cast-on edge, then 6 stitches from cast-0n edge and one stitch from second gap – 14 sts. 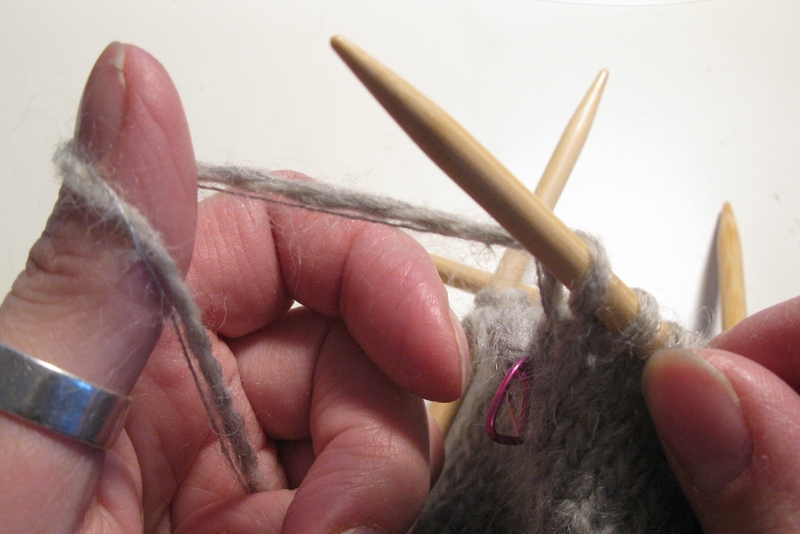 Keep knitting in the round until the thumb is just as long as your thumb – or the thumb of the person you are knitting for. The next round is a decrease round: k2tog seven times – 7 sts left. Now k2tog 3 times, k1. Cut yarn and thread through remaining 4 stitches. Pull ends to the inside and weave in. There you have it. 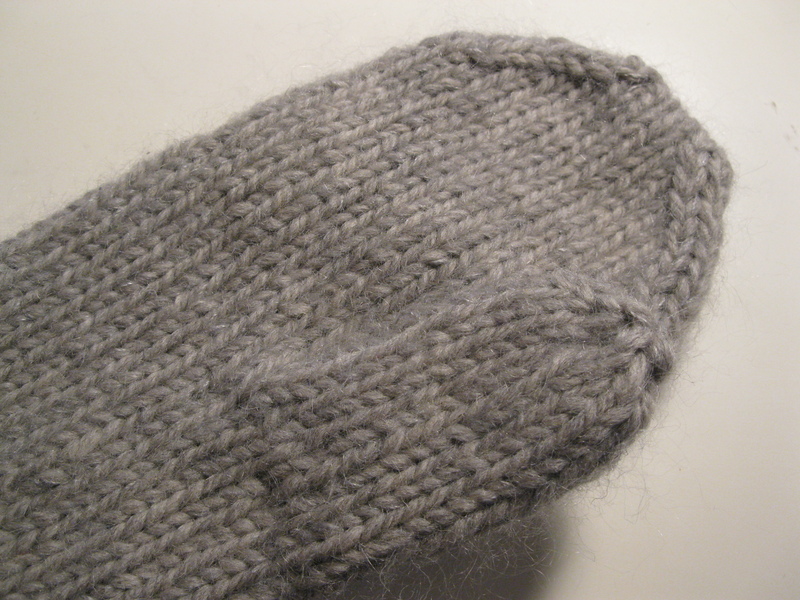 A mitten. 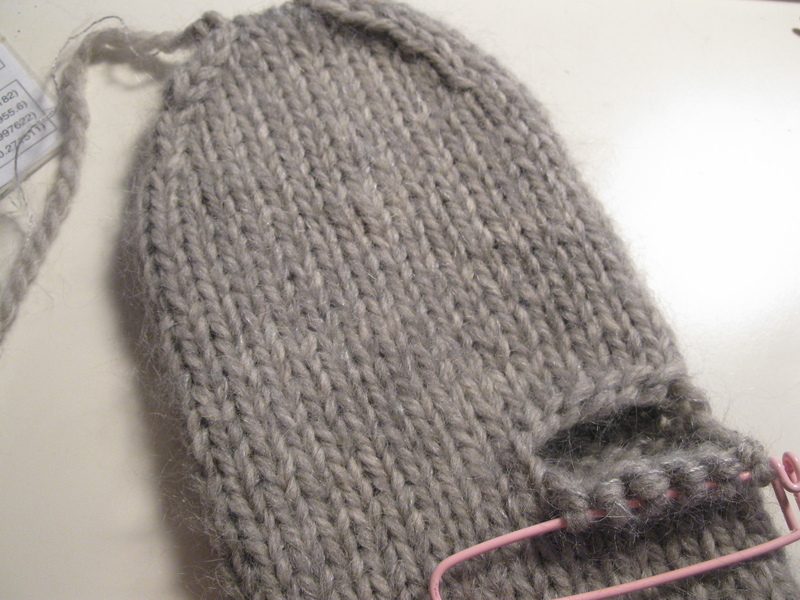 For left hand mitten work as for right until you have to place the stitches on hold. 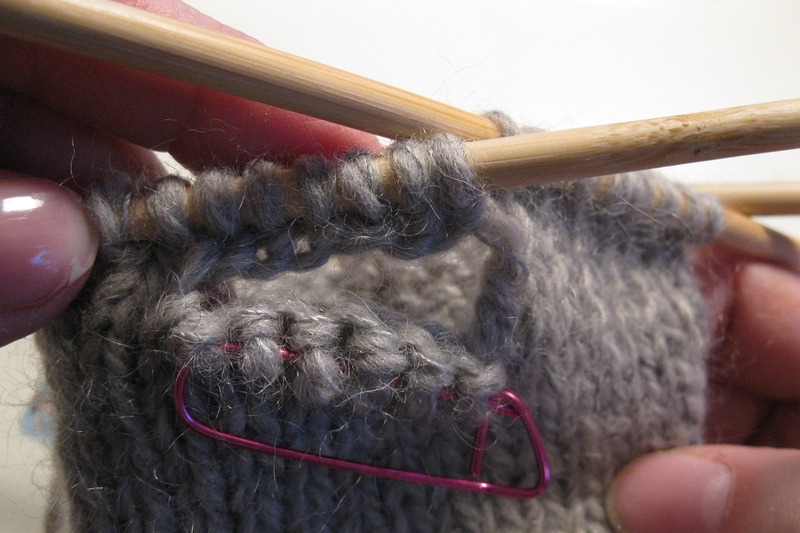 Instead of placing the first 6 stitches of the round on hold, you want to place the last 6 stitches on hold. Otherwise you work exactly the same.